Welshman Ncube in his greediness led a splinter MDC from the United MDC. He failed to have an impact on the political landscape of the country. Ncube's MDC wears yellow and green and is very different from Tsvangirai's MDC which wears red. The aim of this article aims to show how Ncube led his MDC into oblivion and how he has abandoned his movement for Tsvangirai's MDC. In 2005 Welshman Ncube and some power hungry misfits abandoned the MDC led by Morgan Tsvangirai. Their argument was Tsvangirai was undemocratic and was refusing to participate in the election of senatorial seats that had been recently introduced. Tsvangirai renamed what was left of the party as MDC-T. He worked hard to rebuild his movement into a force to reckon with. However, the split by Ncube and company lost the MDC-T a chance to win the 2008 plebiscite as the votes where split. The MDC-T, however, performed very well but could not wrestle power from Mugabe's Zanu PF because of Ncube and his remnant MDC. In 2013 Ncube as a presidential candidate failed to garner over a hundred thousand votes. His party, however, grabbed some proportional representative seats. Ncube's MDC has become a complete failure on the political landscape of Zimbabwe. Ncube had been rejected even by the people of Matabeleland and Midlands. In 2018 after realizing that there was no future for him and his party, Ncube decided to court Morgan Tsvangirai to rejoin MDC-T. Ncube as a political schemer was seeking a political lifeline. On August 6, 2017, Ncube's MDC and other five other political parties joined the MDC-T to form an alliance. This was done not to win the forthcoming 2018 presidential election but to revive their waning political careers. Ncube and his fellow political failures had realized that life outside the MDC-T led by Tsvangirai was very cold. After the elections, Ncube has fully abandoned his MDC. He is now targeting the MDC-T Vice-Presidency. He has now left most of his followers in the cold. Such is this political turncoat who is selfish and does not care an iota about those who had followed him religiously. It is this same Ncube that looted the assets of the original MDC and left Tsvangirai's movement with nothing. He has come back to destroy and loot the MDC-T again. He is indeed a greedy and selfish individual who thinks about himself only. 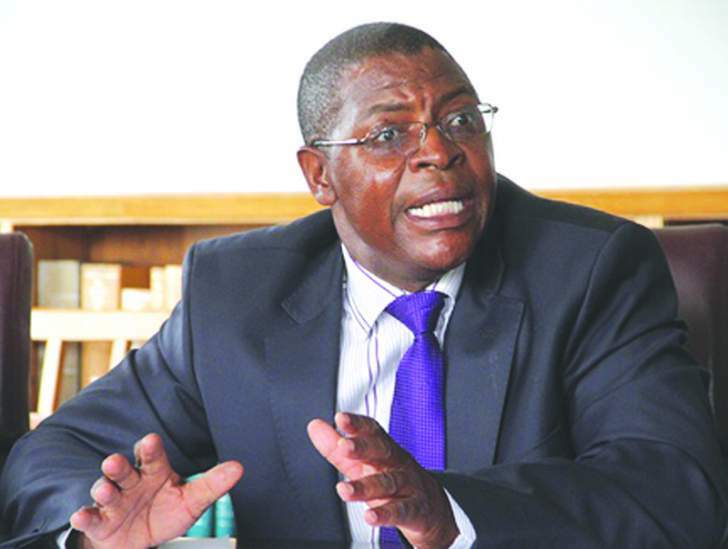 MDC-T must be wary of Welshman Ncube. Such a person cannot be allowed to lead people. Such a person of poor standing is not even shy to want to contest as the MDC-T Vice-President. What a shame. If he has rejoined the MDC-T he should follow the Constitution and wait for five years before seeking office in the movement's senior structures. He is indeed not fit to lead the MDC-T in any capacity. As we analyze this hypocrite known as professor Welshman Ncube, let's put our thoughts on those he has forgotten and left in the wilderness. Those people who put their political career on the block for him. Indeed let's spare them a thought and remember always that Ncube is a political turncoat.